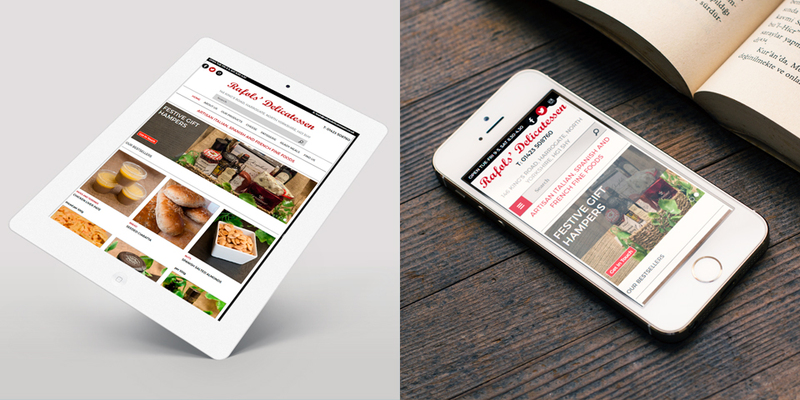 A responsive, hand-coded website built for a Delicatessen specialising in artisan Italian, Spanish and French fine foods in Harrogate. 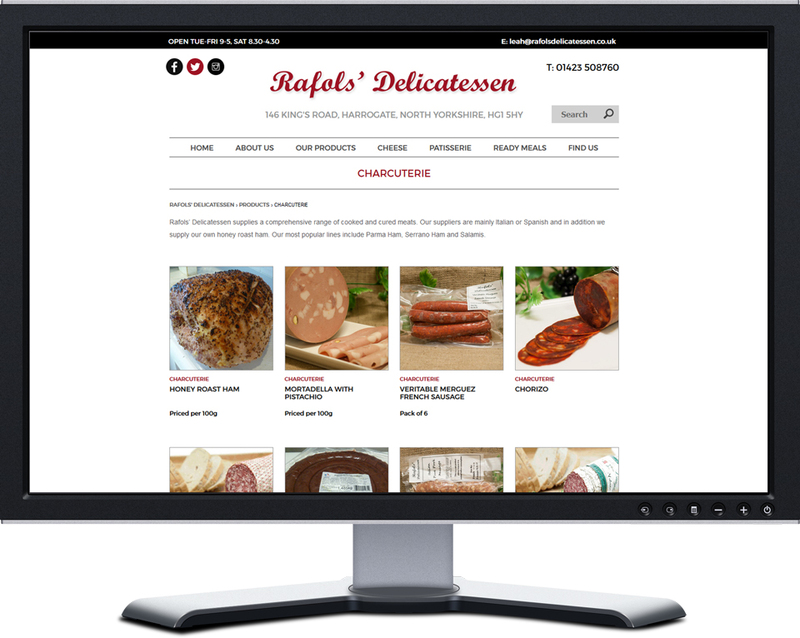 Rafols' Delicatessen are a newly opened fine foods deli, located on the site of the previous well established deli shop. When they got in touch with us, they had just had the premises repainted and signwritten, and were keen to build a cohesive brand and web presence. Firstly we carried out a branding exercise to ensure all the clients promotional efforts represented their overall image. 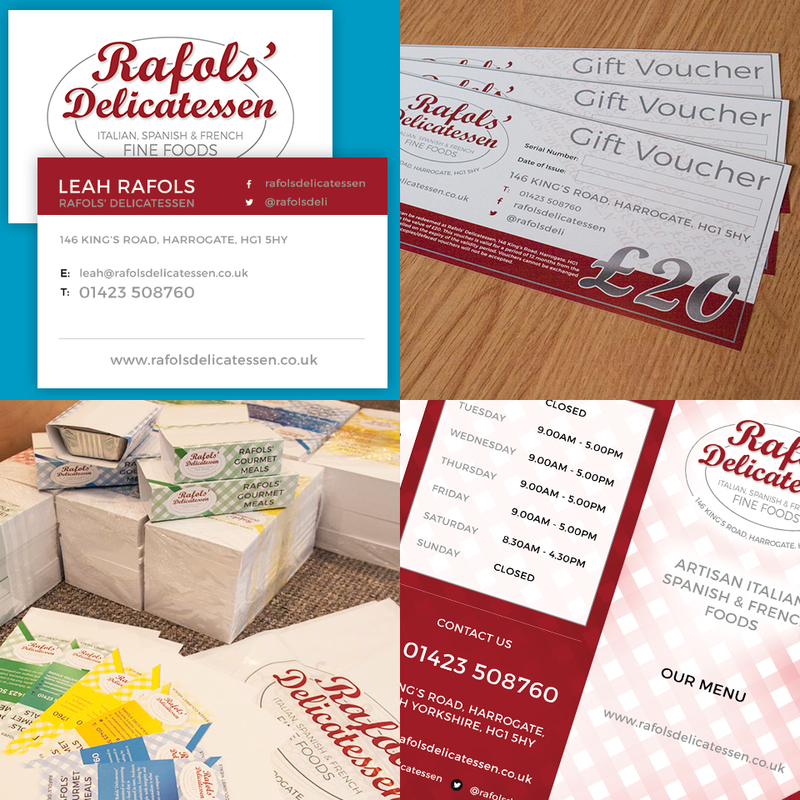 Upon completion we established Rafols' Deli with a core colour palette and logo, a social media presence, and also designed and printed a range of marketing material, including business cards, carrier bags, food sleeves and menu leaflets. The website itself was designed to fit in with the clients new brand image and values, we came up with a mobile-first led responsive site, powered by PHP and complete with a custom database that catalogues their varied product range and bespoke creations. As part of the process we carried out photography to capture both shop and product images, and worked alongside them to input sizing data and descriptions.